Spooky, scary ghosts gliding over the ground while fog swirls about. 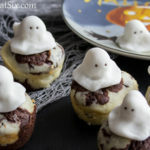 This Halloween image was the inspiration for these rich, chocolaty brownies with a cream cheese layer on top. And a little ghost on top of that! 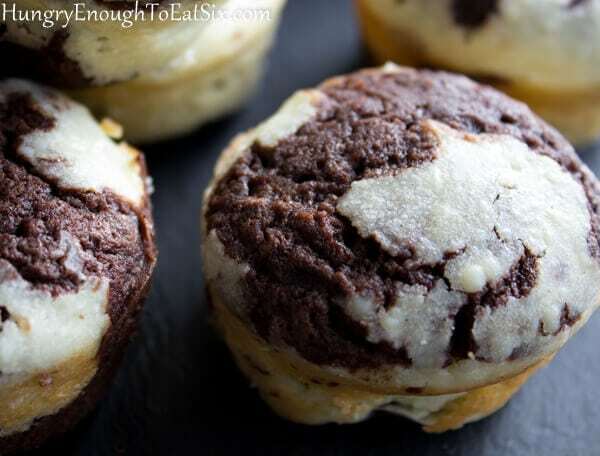 The brownies are baked in a muffin tin to create handy individual servings. 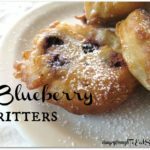 They are rich with chocolate flavor that is enhanced by a little dash of coffee in the batter. This is essentially the same brownie batter from my Spicy Chocolate Brownies En Fuego, except without the heat. Instead of swirling a cream cheese batter through the brownies, it is spooned across the top. 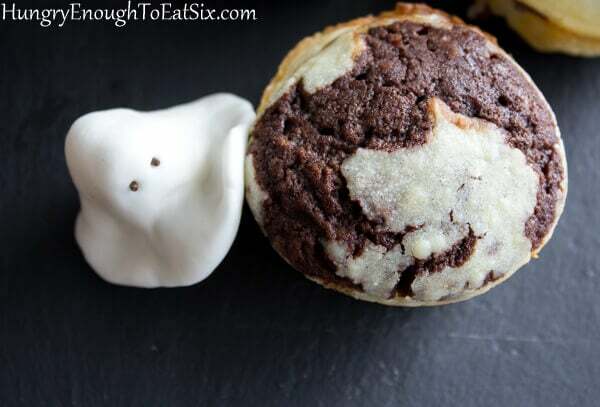 The light layer of cream cheese filling splits open across the dark brownie underneath while it bakes, creating a spooky, light and dark base for a little white ghost! 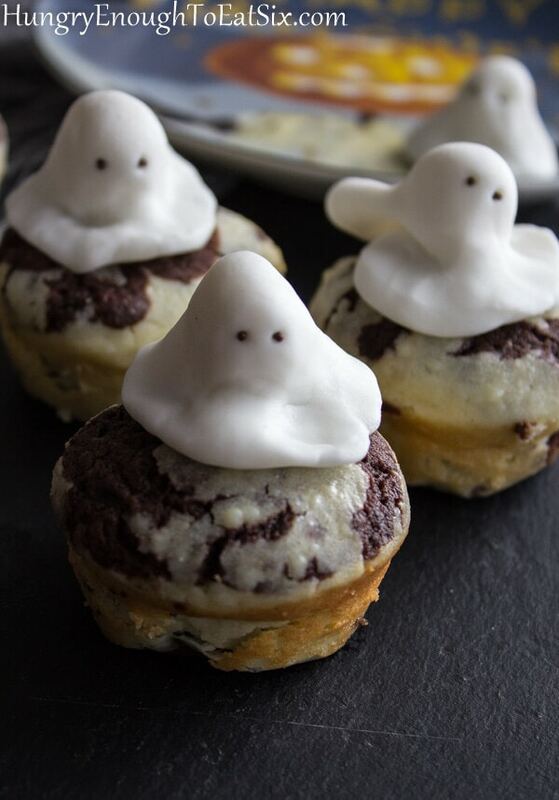 Enjoy your ghostly brownies! BOO! 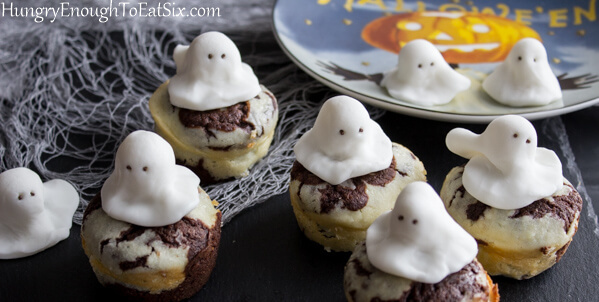 These individual, chocolaty brownies have a cream cheese layer... and a spooky visitor! Preheat the oven to 350° F. Spray the insides of a cupcake pan with nonstick spray: either use two 12-cup pans or plan to bake two batches. You can use paper liners if you'd prefer, but leave them on to serve the brownies. 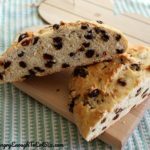 In a large bowl, whisk together the flour, cocoa powder, baking powder, instant espresso and salt. Set aside. Cream together the butter and granulated sugar for about 5 minutes, until the mixture is light yellow and fluffy. Mix in the vanilla extract and the milk. Add in only 4 of the eggs, beating the mixture after each egg is added. With the mixer running on low, slowly add in the dry mixture. Beat the dry and wet ingredients - scrape down the bowl once or twice during this until everything is just combined. In a separate medium-sized bowl beat together the remaining egg, the softened cream cheese, and the sifted confectioner's sugar. The mixture should be thoroughly combined and smooth. 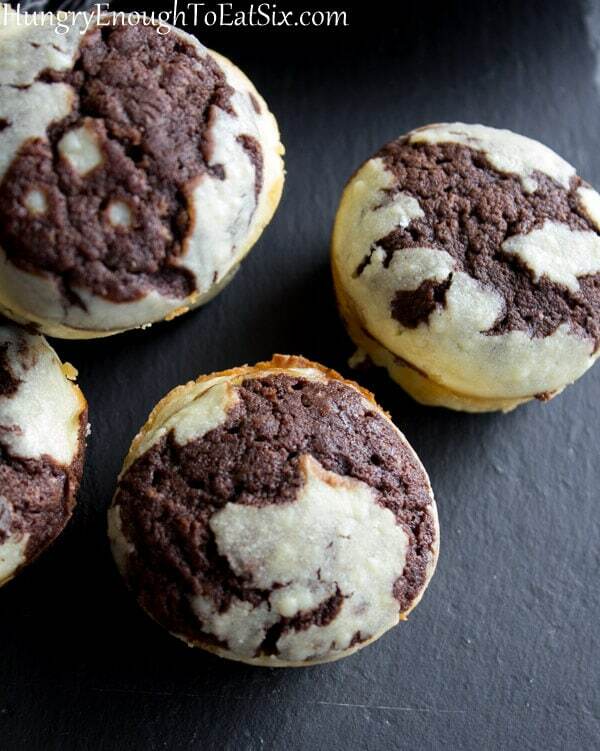 Use a 3-tablespoon sized ice cream scoop: put one scoop of brownie batter into each muffin well. Top each of these with 1 tablespoon of the cream cheese mixture, pushing the mixture around to cover the whole top of the brownie batter. 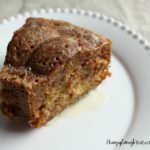 Place the pan in the oven and bake for 25-28 minutes, until the brownie is baked through - a toothpick inserted into the center should come out with just a few crumbs on it. Let the brownies cool in the pan for about 10 minutes. Run a paring knife around the edge of the brownie and then pop them out to cool completely on a cooling rack. If not serving them right away, wrap the brownies in plastic wrap. Dust a work surface lightly with confectioner's sugar. 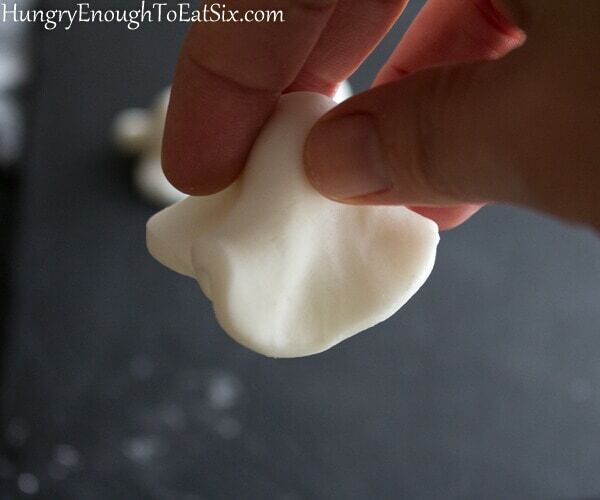 Roll out the white fondant to 1/4-inch thickness. Use a 2-inch circle cookie cutter to cut out 20 circles. Also roll up 20 little balls, about 1/2-inch diameter. 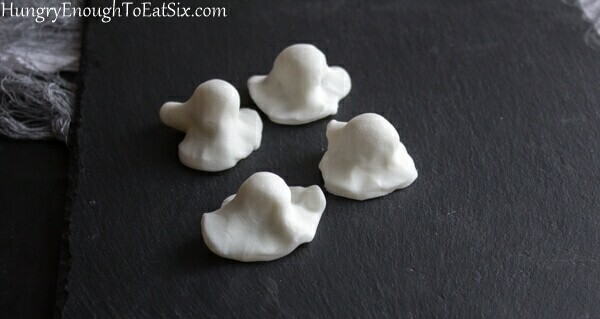 As you shape the ghosts, keep a piece of plastic wrap over the rest of the fondant to prevent it from drying out. Flatten and stretch a circle just a little. Place one of the balls in the center of the circle, and gather the circle around it. (Like a head under a ghost sheet costume!) Shape the head and the fondant draped over it, creating some flares around the bottom edge so it looks flowy and ghostly. Use a skewer to poke holes for eyes in the head. Push a chocolate sprinkles into the holes so the eyes look like two dark dots. 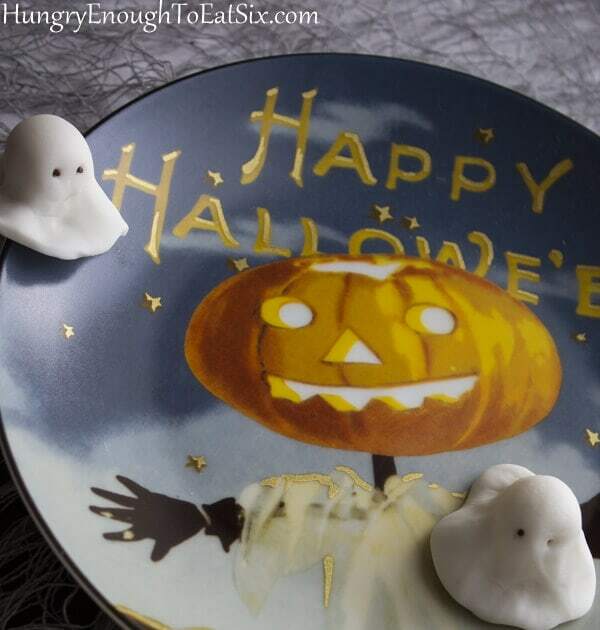 Place the ghost on plate, and gently drape it with plastic wrap while you create the other ghosts. 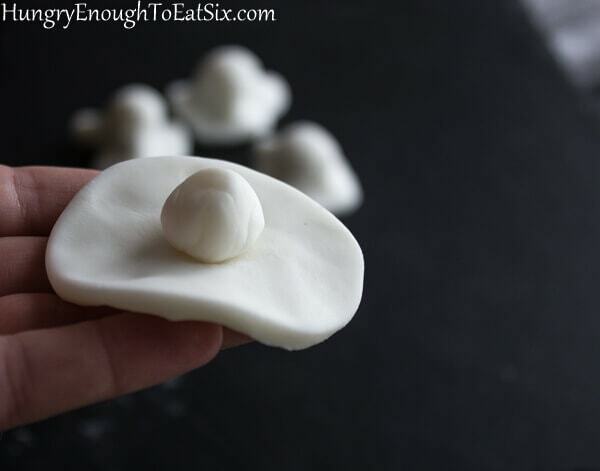 If you have extra fondant you can create extra ghosts to decorate the serving platter, or keep the excess in a sealed container to use another time. Create... Be Curious... 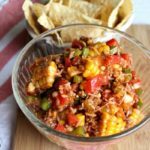 Celebrate... with Food! 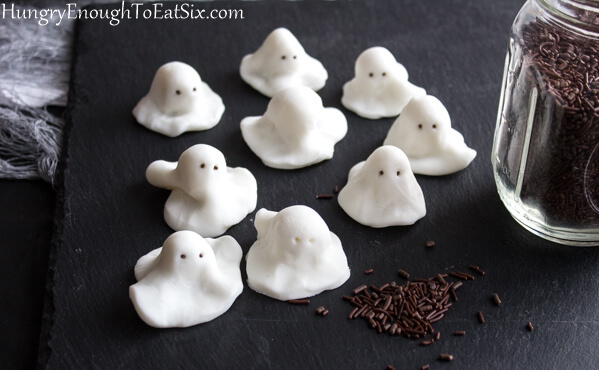 I love how you made the ghosts–these are so cute! What a fun idea you came up with for this Halloween treat! And they’re pretty easy to make! 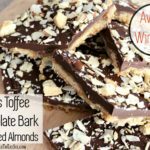 Thanks for helping me taste-test these at school ??? ?